Việt Nam have twice taken part in the final round of the AFC Asian Cup – in 2007 and 2019. Although the two cup performances are separated by more than a decade, they share a number of striking similarities. At this year’s Asian Cup in the United Arab Emirates, Việt Nam’s head coach Park Hang-seo brought the youngest squad out of all 24 teams, with an average age of just 23.1. Twelve years ago at the event in Indonesia, Malaysia, Thailand and Việt Nam, Việt Nam’s 23 players had an average age of 23.3, again the youngest team in the tournament. 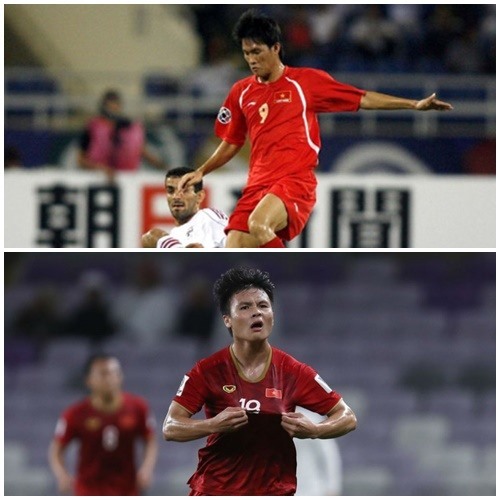 In 2007, Việt Nam faced three teams from Western Asia: UAE, Qatar and Iraq. This year, Việt Nam met four: Iraq, Iran, Yemen and Jordan. 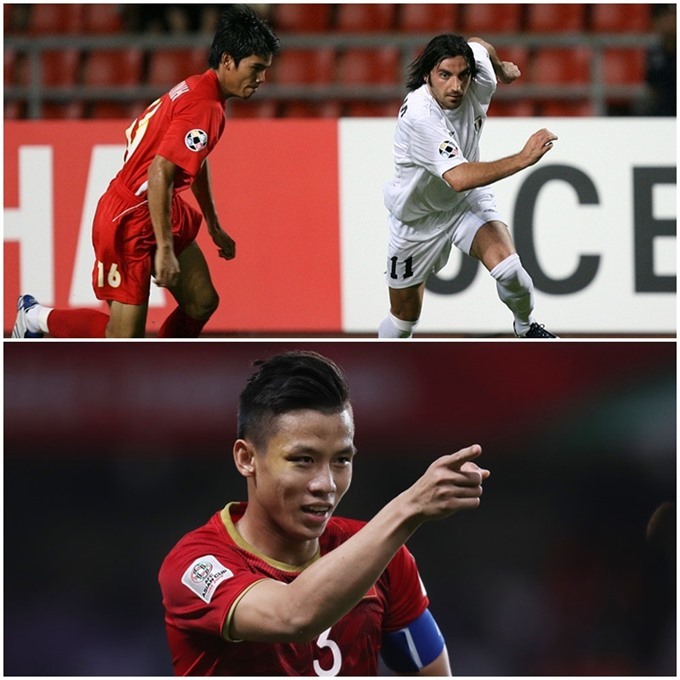 In both Asian Cups, Việt Nam grabbed a 2-0 win against a Western Asian team in the group stage. In 2007, under the guidance of Coach Alfred Riedl, the team defeated the UAE 2-0. This year, Việt Nam beat Yemen by the same score. The two wins were important steps to bring Việt Nam into the next round. Việt Nam scored a total of four goals in the qualifying round of both events. But the similarities go even deeper. In each event, one goal was scored by a defender and one was an own goal by a rival. Goal scorers for the ‘Golden Stars’ in this year’s event were striker Nguyễn Công Phượng, midfielder Nguyễn Quang Hải and defender Quế Ngọc Hải. The own goal was down to a mistake by Iraq’s captain, midfielder Ali Faez. Twelve years ago, defender Huỳnh Quang Thanh and strikers Lê Công Vinh and Phan Thanh Bình scored for Việt Nam. The own goal was by defender Keita Suzuki of Japan. Goalkeeper Dương Hồng Sơn picked the ball out of the Vietnamese goal seven times at the Asian Cup in 2007, conceding five goals in the qualifying round and two in the quarter-finals. 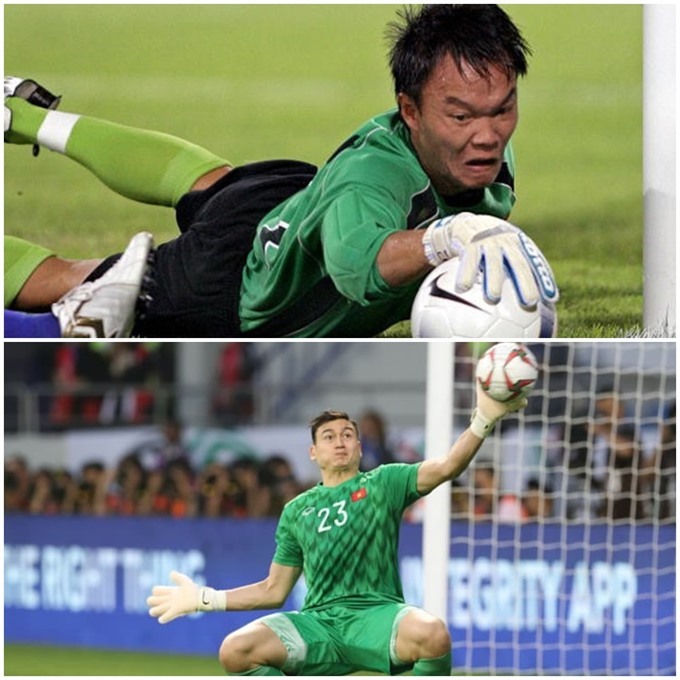 This year, goalie Đặng Văn Lâm also conceded seven times: five in qualification, one in the first knock-out round and one in quarter-finals. Falling to the eventual victors in the quarter-finals? In 2007, Iraq beat Việt Nam 2-0 in the quarter-finals. Iraq continued on to win, beating South Korea and Saudi Arabia to take the Asian Cup trophy for the first time. Everything looks set for a similar outcome this year. After beating Việt Nam 1-0 in the quarter-finals, Japan crushed Iran 3-0 in the semi-finals to enter the final Qatar this Friday. Japan are favourites to lift the AFC Asian Cup trophy for a fifth time.